Small size: 1.3" x 2.05" x 0.43"
When it is essential to have high performance in your application, these low noise drivers offer excellent current stability in Constant Current mode. Precisely control the laser diode current with the onboard output current adjust trimpot or via a remote voltage to the modulation input. Adjust the limit current trimpot to protect the laser diode from exceeding its maximum current rating even when modulating your laser diode. Measure laser diode current from a buffered monitor output. 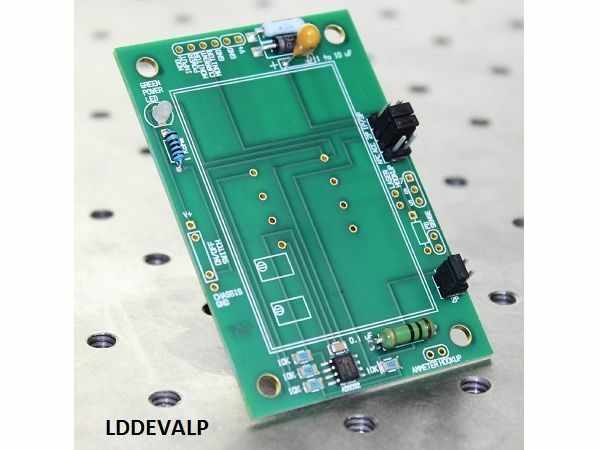 An evaluation board (P/N: LDDEVALP) and cable (P/N: WCB201) are available to speed implementation of the LDD in your application. Very low leakage current (15 µA) makes it ideal for driving most VCSELs using the remote modulation setpoint input. It operates from 5 to 12 V. Just add an external power supply and your laser diode to this simple 8-pin controller. The LDDx-1P drives Type A & B laser diodes. 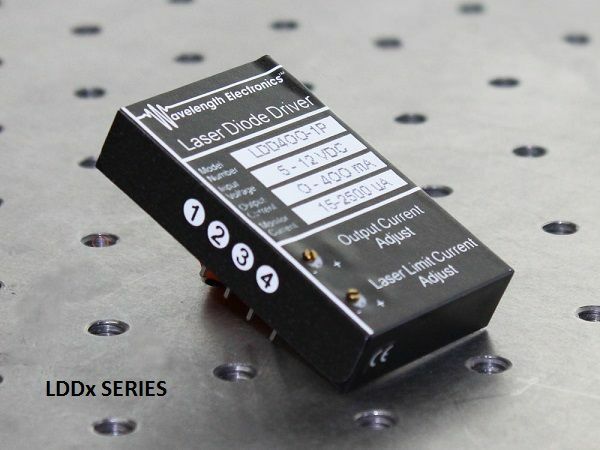 The LDDx-2P drives Type C laser diodes.